The DHT-20 is an advanced portable hardness tester, characterized by its high accuracy, wide measuring range and simplicity of operation. It’s designed to measure the hardness of ordinary metals and is widely used in quality and test and measurement laboratories in industries such as petroleum, chemical processing, machinery, heat treating, and electric power. 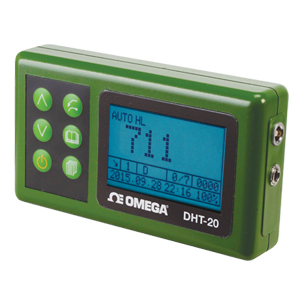 The DHT-20 uses the Leeb Hardness testing procedure. To determine the target’s Leeb hardness value, a parameter designated HL, is determined by using the plungers rebound velocity and an algorithm in the DHT-20. These can be displayed in a variety of units. The operator’s manual includes a hardness table of typical industrial materials as a reference guide. Note: Comes complete with DHT-20, hard carrying case, soft case for display, hardness probe, standard hardness test block (797HLD), RS232 to USB adaptor, mini CD with software, 2 “AAA” batteries and operator’s manual.